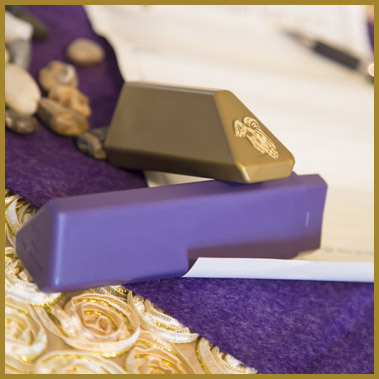 Our Prayer Capsules are a meaningful way to send personalized prayers to your loved ones. 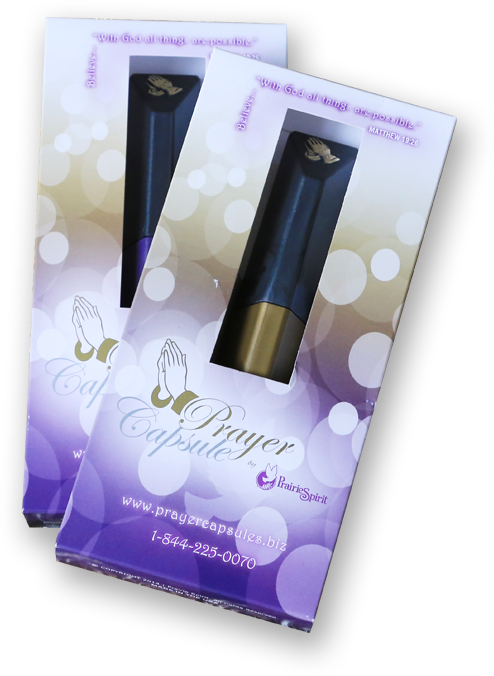 What is a Prayer Capsule? Sometimes the best gift we can give to another is the gift of prayer. 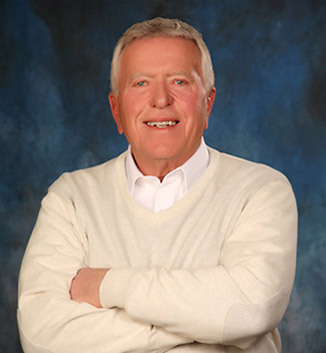 To say a prayer for another in itself is a gift; to write your prayer to whom you are praying for and give it as a gift is a gift to cherish for a lifetime. 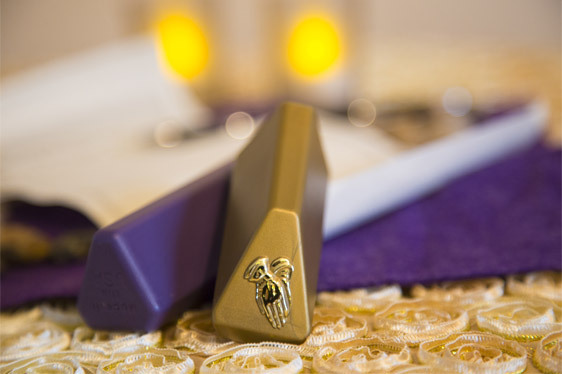 The Prayer Capsule is designed to hold your personalized prayer and be given as a gift to a loved one or to someone in need of prayer. Be encouraged by Matthew 19:26, “With God all things are possible,” and pray in confidence that God, Who is all powerful, all knowing and all good, will answer your prayer according to His plan. 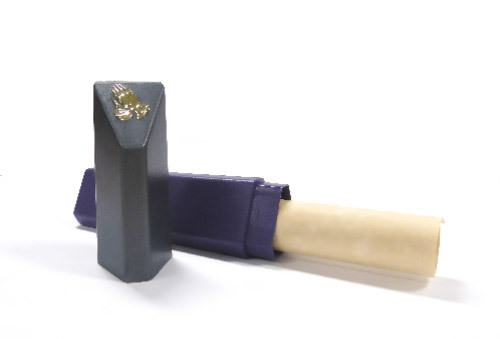 get your prayer capsule today! 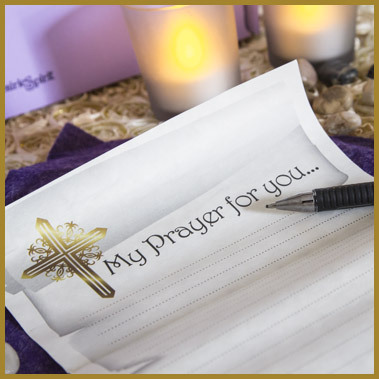 You may use the Prayer Capsule to give to a friend, teacher, mother, father, grandparent, daughter, son, newborn, Godchild or anyone in need and in limitless occasions. Get your prayer capsule in three easy steps. 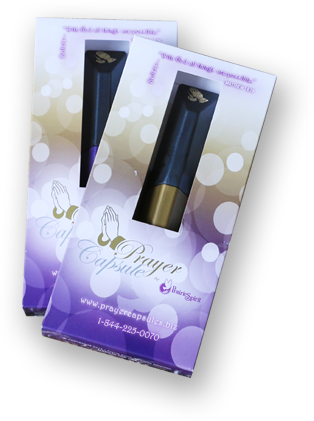 Order your prayer capsule here. Receive it within a few days. 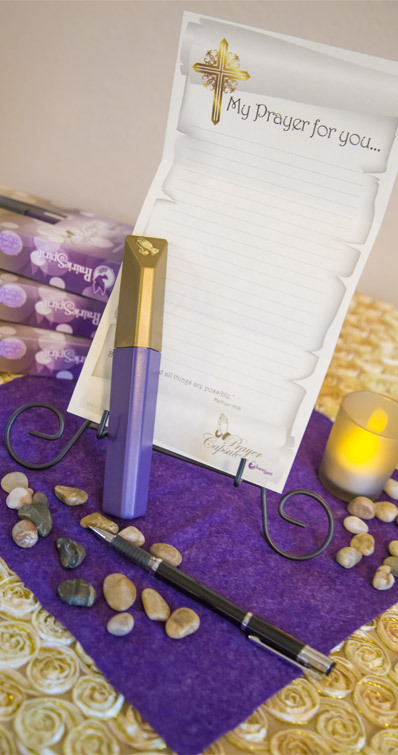 Open the box, write on the prayer paper scroll included, roll it up and place inside the capsule. 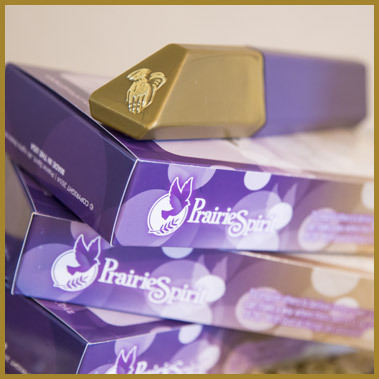 Send to your loved one by mail or hand deliver it. That’s it! A blessing to cherish forever. 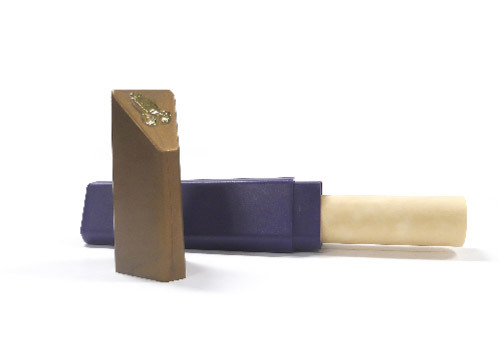 Capsule includes a prayer scroll, gold base and silver cap. 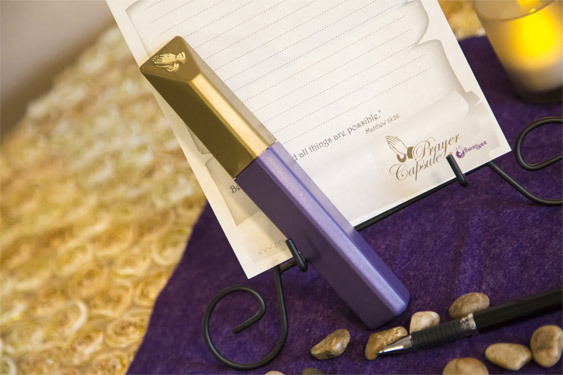 Capsule includes a prayer scroll, purple base and gold cap. 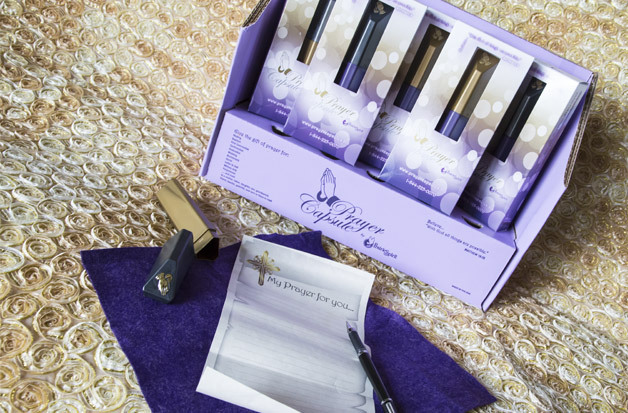 Capsule includes a prayer scroll, purple base and silver cap. Fill out the form and we’ll be in touch for your order. 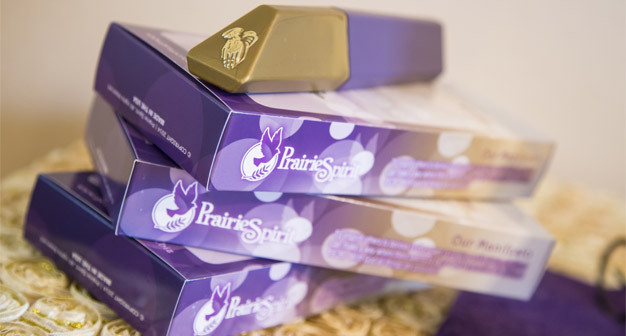 Sheila, Co-Founder of Prairie Spirit LLC and the Prayer Capsule and upcoming author of her soon to be published book entitled, Blessings in Disguise: Trade Doubt for Your Dream...Embrace Your Struggle and be Blessed, is a native of South Dakota who grew up in the prairie on a farm with her family of twelve near Hosmer. She currently lives in Aberdeen with her husband and daughter. 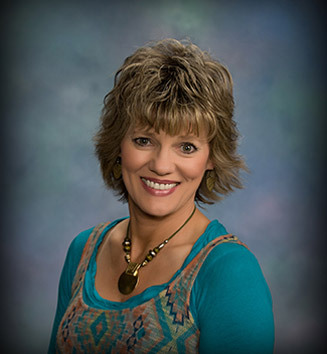 Sheila mentors through Stephen Ministries and Woman to Woman Mentoring and is a secretary at the middle school through the Aberdeen School District. Her passion is to teach and inspire others to trust in the Lord with an expectant faith for all their needs to be met and to believe that with God, all things are possible! She enjoys quiet time with the Lord, being with family and being in nature which helps her connect with passion for writing. She also enjoys gardening, cooking, baking, cleaning, taking walks, riding bicycle and working out. sheilamalsam.com.